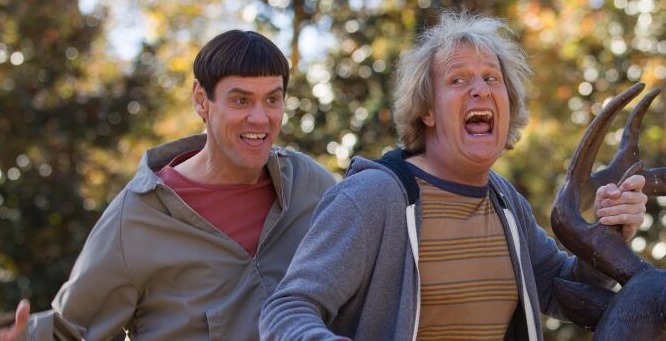 Genius Trailer: Dumb and Dumber To! It’s been twenty years or so, but Harry and Lloyd are still so stupid they’re genius. Check out the first trailer for Dumb and Dumber To after the jump. Dumb and Dumber To collides with theaters on November 14th. Previous PostPretty Little Liars Get Two More Seasons To Suss Out A!Next PostVIZ Media Unleashes 500 Volumes of Manga Through ComiXology!